These are a fun twist on an old classic. 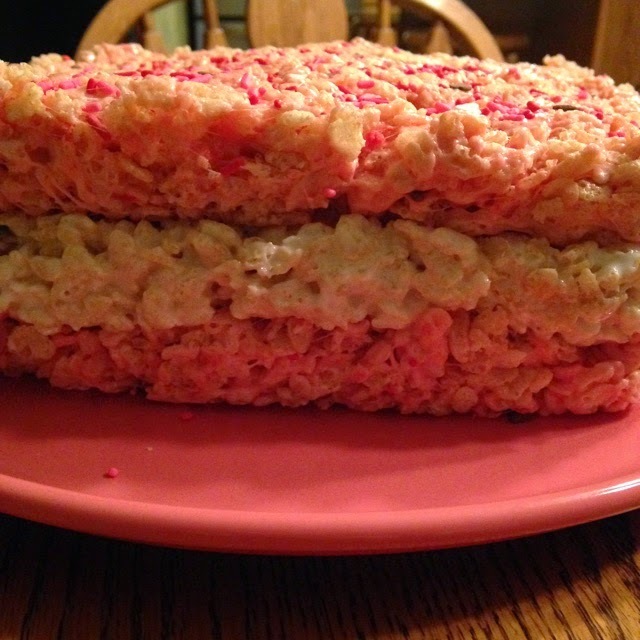 You can just make the strawberry layer, but the stripe of regular krispies is what makes it extra special. They are easy to make and are cute as can be. We found the idea on Taste and Tell Blog and we had to give it a try. Everyone loved them. They turned out thicker than we were expecting, but nobody complained. We decided if we were going to make them again, we would use larger pans so each layer would be thinner. Below is how we would do it next time. The picture below is using 3 9x9 pans. Don't they look yummy? And so fun! They were a hit. When placed on a dessert buffet with many other options, they were the first to disappear! Stir 8 cups of cereal into the strawberry mixture. 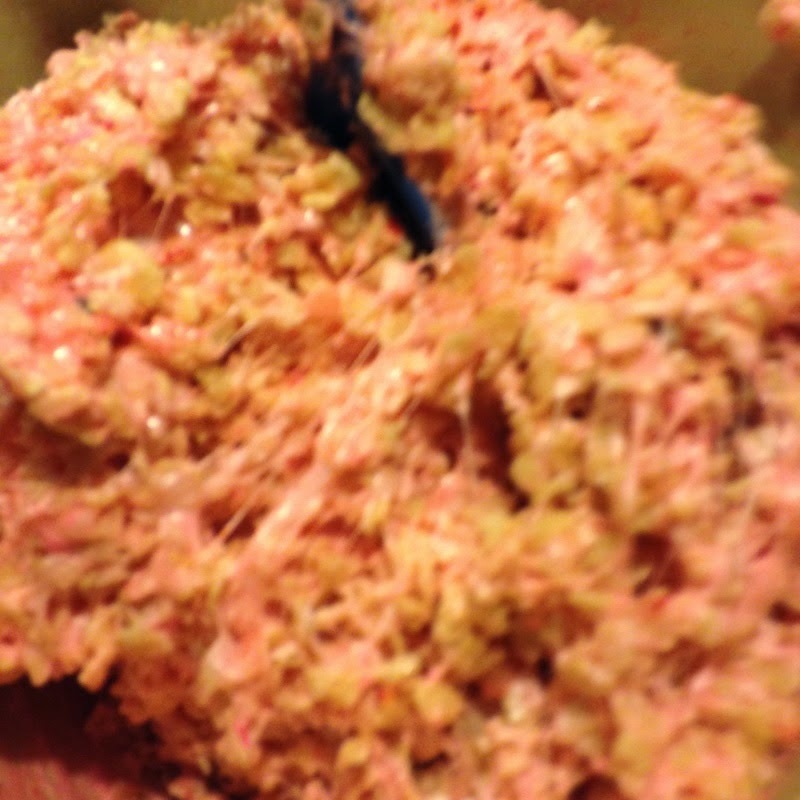 Press into 2 of the prepared pans. Press sprinkles into the top of one pan's worth. In another bowl, melt the other 3 tablespoons of butter. Add the rest of the marshmallows and melt. 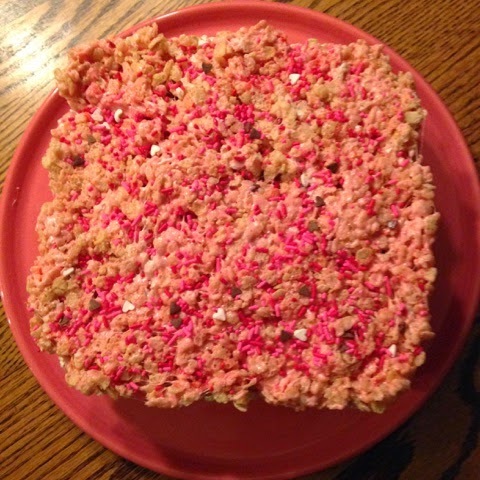 Remove the sprinkle covered krispies and place sprinkle side up on top of the white layer, pressing down. Let cool completely and cut into squares. Thanks Mollie! These were VERY popular when we made them!